Allotment gardening has had a real resurgence in popularity in the last ten years or so and gone is the flat cap and whippet image of the past. 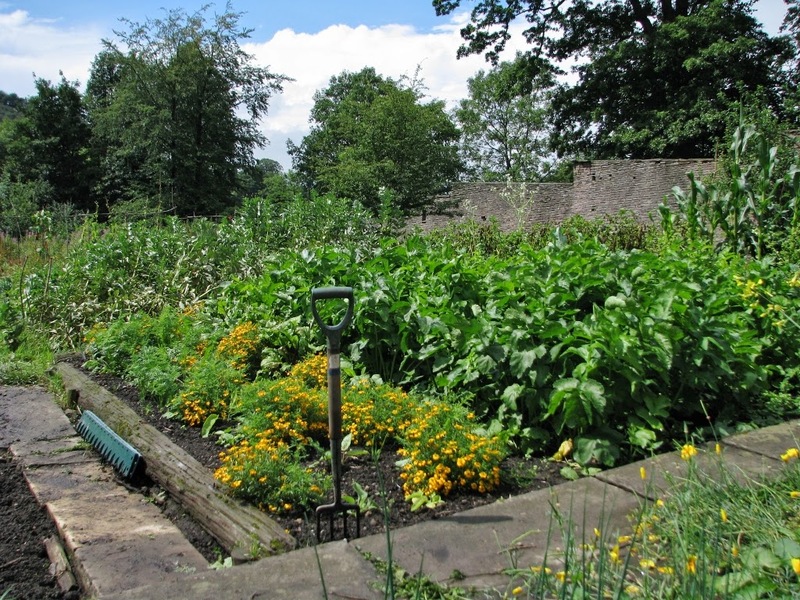 Bollington has a real need for allotment plots with so many properties having little or no garden in which to cultivate vegetables. Bollington Town Council manage two allotment sites in Bollington, Heath Road Allotments and Harrop Road Allotments. Heath Road Allotments are situated behind the ATAX field off Ovenhouse Lane, near to Bollington Leisure Centre. They were established in 1999 when the Town Council took out a lease on a small piece of land from Macclesfield Borough Council, Originally there were 10 plots on the site but susequently as demand has risen many of these have been divided and rented out as half plots.This allotment area has benefited from the installation of a water supply in 2005. This was put in by United Utilities as part of their package of thanks for the town's having to put up with their sewer excavations throughout that year. Harrop Road Allotments were created in 2012 in response to the growing waiting list for allotments in the area. Bollington Town Council had for some years been trying to identify extra land which could be used for this and finally managed to agree a lease with Cheshire East Council for a previously cultivated but largely neglected site off Harrop Road. The legal niceties took rather longer than anticipated and by the time the Town Council acquired the land it was in a very poor state. With the costs of clearing the land looking to far outweigh the budget available the Council called upon the potential tenants to see if they could help out. The response was really positive and so in addition to the Council funded levellling of the area working parties of volunteers got stuck in with pruning ,felling and digging. The speed with which the neglected site has been transformed into 12 plots has been remarkable. The tenants have a strong Allotment Association and enjoy a real sense of camaraderie whether working or taking part in one of their "socials". More about Harrop Road Allotments Development. If you would like to know more about any of the Bollington Town Council Allotments or would like to be added to the waiting list please contact us. Cheshire East Council also manage several allotment sites in the area. Although these also have waiting lists you may wish to enquire about adding your name to their list if you are prepared to travel. Details can be found here. Please note these waiting lists are completely independant from the lists for the Bollington sites. A project started in 2012 to reclaim the neglected walled garden at Savio House and turn it into a Community Garden by a group of enthusiastic volunteers. A former kitchen garden, of about three quarters of an acre it dates from the 1850s, the time of John Upton Gaskell who owned the property (then named Ingersley Hall) A BLOG of the progress can be viewed here. While most people reading this page may consider having a large garden or plot of land would be a real asset there are some people to whom taking care of their patch may be a challenge. One solution to this problem would be to reduce the area the owner has to maintain themselves by offering part or all of their plot for cultivation by others. This is becoming increasingly popular and there are already schemes countrywide to help connect people who may be able to offer or utilise surplus land. They also run a Garden Share Scheme and have already successfully linked up many landowners and gardeners. To view the Gardenshare scheme and see what land is currently on offer click here. A sample agreement is available to download. Landshare is a national site created after an idea by TV chef Hugh Fearnley-Whittingstall and already has a "community" of 74,000 growers, sharers and helpers. You can sign up to offer land or search for suitable land offered to share but even if you do not wish to become a member it has a lot of advice on how to enter into a landshare and templates for agreements in its online Toolkit. If you know of an area of land which could be used to create extra allotment space or a community garden, or have or know of someone who has a garden and would be willing to allow others to adopt a patch for cultivation then please get in touch.